Plants were chosen based on full sun and windy conditions. 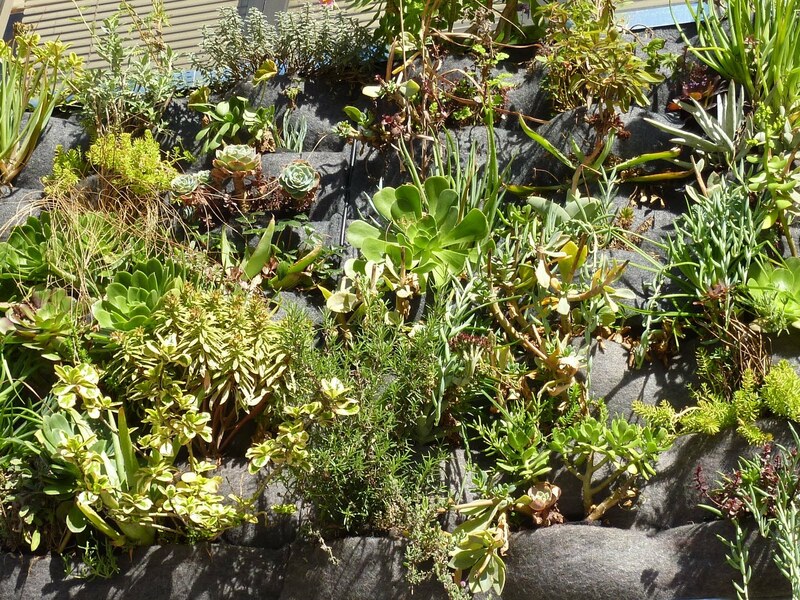 We based the planting on succulents and sedums but also tried other things. 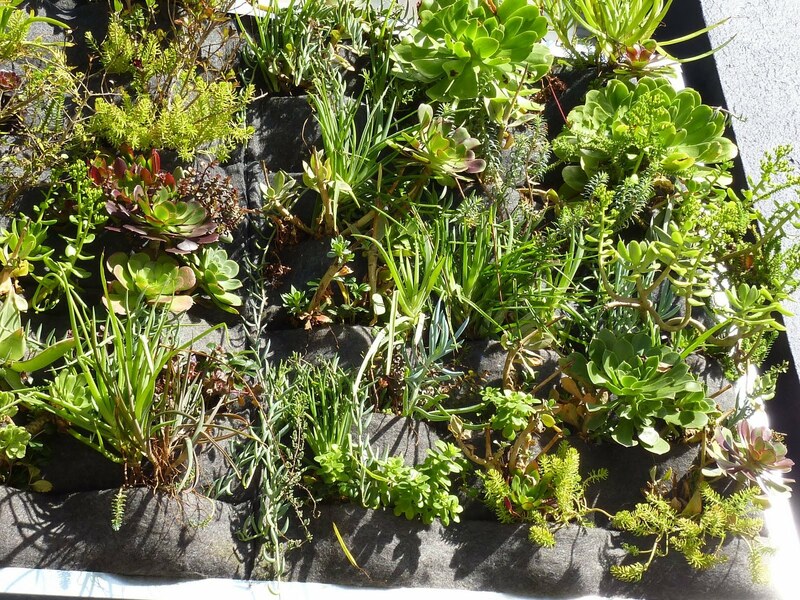 We planted many cuttings from a friend's local garden including rosettes, ice-plant and aloe. 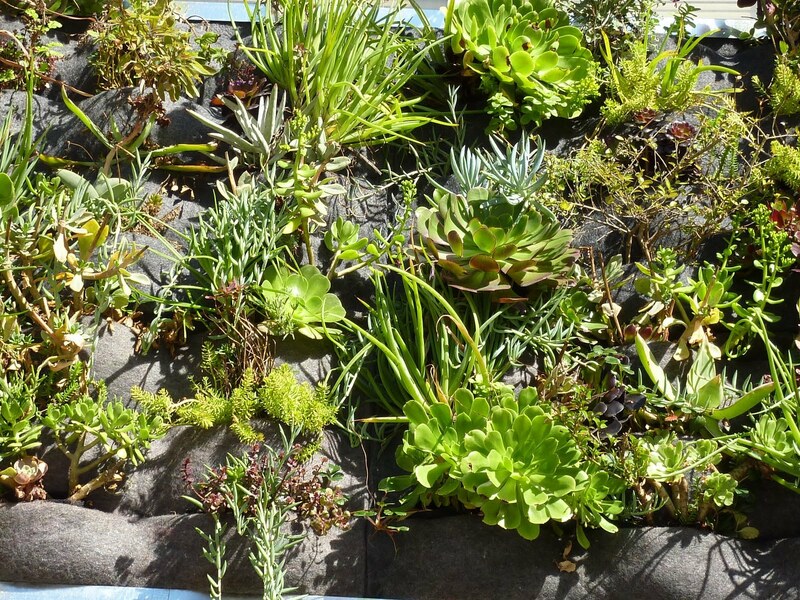 More things we tried include euphorbia, procrosma, geraniums, grasses, rosemary, thyme, native california plants including sage, wild strawberry, and a redwood tree that's intended to bonsai. We used full-pocket panels (12 F-12s) with one pocket trimmed off the top to fit between the windows. 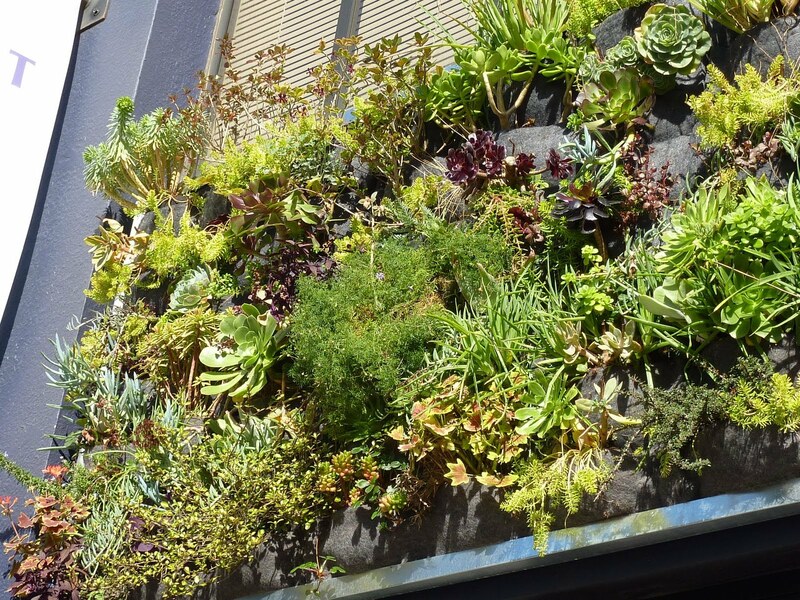 The galvanized living wall kit frames the panels to finish the edges, float the panels from the building, and collect the dripping in the bottom tray. Soaker hoses are threaded through the top of the pockets every 4 rows down and connected in the top tray where there is room to access tubing. The 1/4" line is connected to a hose connector inside the building and operated by a digital hose timer and connected to a water filter and food injector. Short cycles fairly often keep the moisture absorbing felt at optimum moist/dry cycles.